Many people listen to the blues for the same reasons they watch football: a) it’s loud; b) it’s high-energy; c) it’s addicting; d) it’s fun; and e) it’s tailor-made for drinking and partying. 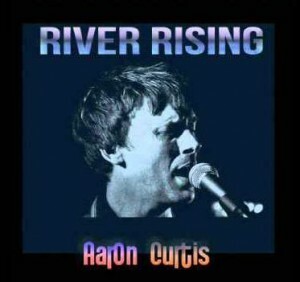 Fans should keep these things in mind while listening to London’s Aaron Curtisand his latest album, River Rising. 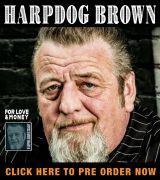 Gary Grainger, the UK Blues Broadcaster of the Year, describes Aaron’s music as having“a great raw sound,” according to Curtis’ promotional info sheet. Such is consummately true, more so than on other albums. 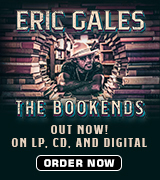 You won’t hear him playing Jimi Hendrix-style riffs, or trying to pull off the same fretwork finesse as Eric Clapton. Aaron sticks to traditional and contemporary blues rhythms, although basic, and compels listeners to turn the volume up. Vocally, he’s reminiscent of The Doors’ Jim Morrison and Warren Zevon (who performed “Werewolves of London”). However, he talk-sings through most of the album, with curiously-flat inflections on his love songs like “Sweet Rollin’ Baby”. With all of that said: Who cares? In a lot of ways, Europe is even more of a blues continent than North America is. Blues may have been birthed in the U.S., through the literal and figurative labor pains of African-American slaves, but it’s migrated “across the pond” – the Atlantic Ocean – in spectacular style. Unlike some European artists, who sound just as American as the music they play, you can definitely tell that Aaron Curtis is a Brit, and that’s a great thing. With him on ten original tracks (nine plus a ghost track) is Reg Patten on drums. Curtis himself performs on vocals and electric guitar. Track 04: “Mojo Hand” – With a catchy, swinging beat that invites club-goers and football watchers to kick back and have a beer, track four isn’t half-bad. However, Curtis mumbles some of the lyrics, and the sentiments aren’t exactly new: How many mojo hands DON’T contain a “black cat bone”? “Ain’t hearing no back door slam. I’m packing my mojo hand.” How many mojo hands bring bad luck instead of good? One won’t find any on this CD. When there’s a River Rising in your party playlist, blues fans, make the volume rise too!